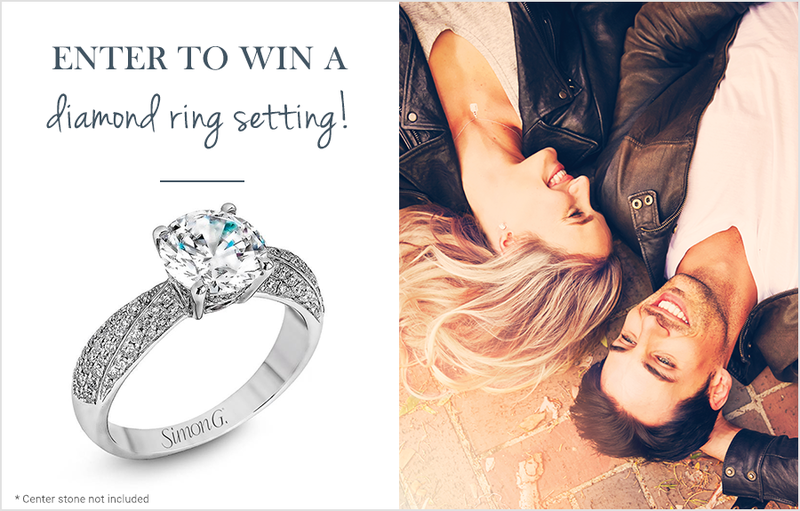 Enter to Win a Simon G. Diamond Ring Setting! Enter now for a chance to win this gorgeous 18K white gold ring featuring .48ct round white diamonds on the band. The center stone is not included. Giveaway ends June 30, 2016. Winner announced July 18, 2016. Approximate retail value of prize: $2,860. By submitting, you agree to the Giveaway Terms & Conditions.